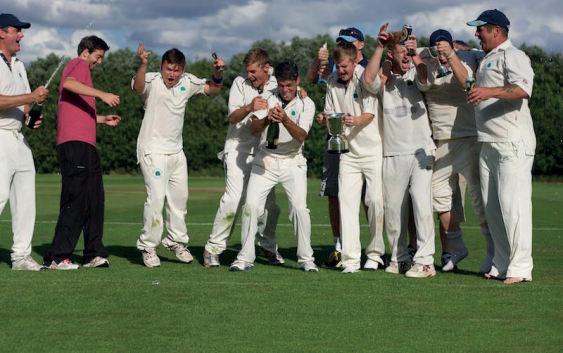 Littleport has always been spoilt for choice when it comes to sports like cricket and football – be it Saturday or Sunday of total cricketing commitment, or a Saturday afternoon of blood and thunder gutsy footie. The village has always prided itself of having a top cricket club competing against the best season after season. Now into their 129th year, no one, not even their President or past successful fast bowler Norman South, would have predicted that as early as July this year, the club would have to temporarily withdraw from the CCA Junior 1 North league in July after struggling to field a regular team which gave them no alternative but to quit. Doug Marsh is one of the club’s longest serving cricketers having played for the Littleport cricket club for almost 25 years, and recounts the time the club won both their Saturday and Sunday leagues in 2012, and then claim the Lower Junior Cup and finish unbeaten to win the Division 4N league in 2013. There are so many unsung heroes who have given their all for the club including Robin Freestone, club chairman and captain Chris Farnell (since retired and now playing golf) whose son Nik, whose name can be found on the ECB’s Play-Cricket Cambridgeshire’s Bowling Honours Board 2016 for June 13 – 19, placed 9th for taking 4 wickets for only 11 runs! August 1-August 7, placed in 10th spot for taking 5 wickets off 50 runs, the talented James ‘Jinna’ South, who became an ECB Cambs bowling record breaker by finishing in 16th spot by taking 4 wickets for just 14 runs, while Scott Connop is also named on the ECB’s Cambs Batting Honours Board for the 2016 season where he claimed 8th place by hitting a total of 162 runs. Doug said: “We tended to lose quite a few players last season, but somehow we managed still to continue regardless – finishing the season strongly which in fact gave us hope for the new 2017 season. As time went on we were having increasing problems fielding a team of 11 players. Of course, you can’t expect people to turn up because of constant work and home commitments, but those who wanted to play regularly have now moved on, and are now turning out for other teams. The versatile Nik, is also a pretty good footballer too, a sturdy but no-nonsense defender who has been named this season’s club captain, and the pairing with defender Jason Walker (who has returned from Australia to team up his brother Harry), could well be a mean double combination at the back. Fellow cricketer Liam Heaps who only heard the demise of his beloved cricket team when returning from a well-earned holiday abroad is Littleport Town FC’s vicecaptain. And so the Football Season Begins! During the pre-season there has been quite a shake-up of personnel, including the departure of Manager Kevin Scarff, as well as the shock departure of last year’s Assistant Manager and player Jamie Gayfer, who had been with Littleport Town FC for 16 years. Ely City Reserves, so I can spend more time with my two very young daughters,” said Jamie, who has complete faith in Littleport Town’s newly appointed Player/ Manager Will Rolls, formerly a reserve player who became a first team player after the Reserve team folded in 2015. “This season we have signed a few players including Matthew Wheeler from Chatteris, who like me also plays for a deaf team,” Will who plays for the Peterborough deaf team told Littleport Life, who said he was born profoundly deaf, but a coccygeal implant when he was 11 helped him to speak, hear, lip read and communicate better. “I don’t know of anyone as young as me at 23 running a football team, but I also have the backing of Jason Walker who is assisting me with the training, and I am really looking forward to the challenge,” said Will, who commented that the club could do with some financial assistance to help them to purchase training goals and footballs, and Littleport Life Magazine are pleased to be sponsoring their training tops and jumpers for a consecutive season. Great news for the club is the return of their Reserve team which is made up of at least 8 of last season’s Under 16’s playing together, and amongst the signings are Doug’s other son goalkeeper, George, defenders George Thurlow, Henry Harrison, defender/midfielder Calvin Lock, central midfielder Mateusz Pawlik, two attacking midfielders Josh Fraser and Ellis Yearn plus attacker Daniel Nicholson to name but a few. And it certainly made their Manager Lee Yearn’s day when he took it upon himself to come on and play for 30 minutes with his two sons Ellis and Bailey which he confessed “was the best day of my life,” despite ending on the losing side in their friendly match against visitors Isleham on Saturday July 29th. The magazine are also sponsoring the Reserves. The Reserves’ first game in the Mead Plant & Grab 5B Division of the Cambridgeshire County League is away to March School School Academy on Saturday 9th of September which kicks off at 3 pm. While the first team playing in Mead Plant & Grab 1B Division begins their season a week earlier on Saturday 2nd September with a home fixture against Alconbury First at 3 pm. Then for the next two consecutive Saturdays they will have home advantage over Buckden First and cup opponents Chatteris Town Reserves respectively. Why not come and support your local Littleport Town FC teams, and see how they both progress this season. You can find all their details either on their Facebook page, or follow either the 1st team or reserves on the Cambridgeshire County League website Cambridgeshire FA.com long on to Cambridgeshire County League (Kershaw and Mead Plant and Grab) where you can find all the information you need from fixtures to stats and results.